Twitter chats are all the rage among online community builders today, and rightfully so. If you’re not already familiar, a Twitter chat is a recurring online discussion on Twitter around a particular topic, usually held weekly. 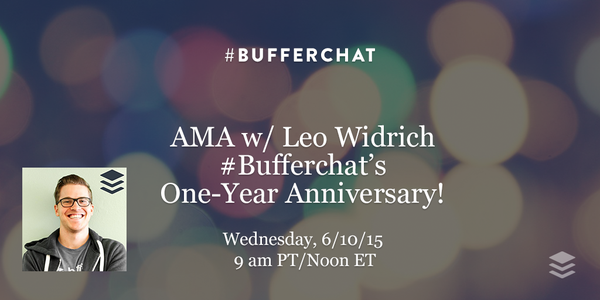 Some chats are branded around a specific company or organization, such as #bufferchat. Others are named after the topic they cover — i.e. 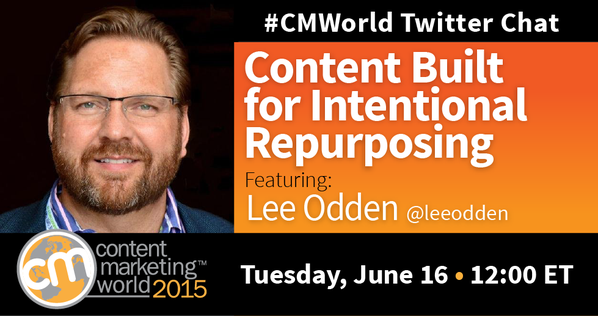 #contentchat or #CMGRHangout. If you have the time and resources, hosting your own chat is an effective way to increase brand awareness and grow and engage your community. Just ensure you’re prepared for what goes into execution: planning out topics, recruiting guests, promoting them to build a steady following and creating recaps using Storify and maybe even longer form blog posts. Another option is to simply participate in them. You’ll capture almost as much of the brand awareness as you would have as a host, you’ll engage with a broader network of people you might not already know and you’ll even learn a thing or two from your new friends. If you’re looking to build a stronger community around social media, branding, community, marketing, or really anything community-related, check out the top Twitter chats below. If you don’t have the time to host or participate in Twitter Chats, consider recruiting someone who can both represent your brand and provide you with a recap, such as a Peep. 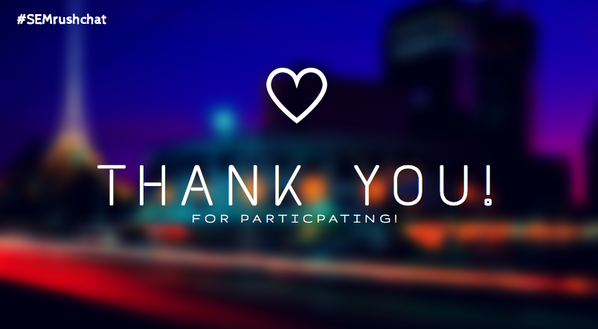 Check out our awesome community of Peeps who are ready to help you increase your awareness. Who: Hosted by My Community Manager, for anyone interested in all things community. What: This weekly Google+ Hangout accompanied by a Twitter chat is all about community building and management — everything from tips and tactics to diving down into the psychology behind community management. Check out the recaps of past hangouts. Who: Hosted by Buffer for anyone interested in a variety of topics around communicating online, including community management, brand building, content marketing and more. What: This chat has had a variety of top-notch guests covering an array of topics around digital marketing. They even had one where the bufferchat community themselves ran the chat! Buffer recently celebrated the one year anniversary of the chat and reaching nearly 50 million people — KISSmetrics shares how. Who: Hosted by CoSchedule, for anyone interested in content marketing and blogging. What: From the team behind CoSchedule, the WordPress plugin that makes keeping an editorial calendar simple, this chat covers anything from content ideation to creation to distribution and beyond. Who: Hosted by Content Marketing Institute, these chats are kind of like the Twitter chat version of their annual conference, Content Marketing World. What: Discussions around content marketing topics featuring top experts. Check out upcoming topics here. Who: Hosted by our friend and content marketing wizard, Brian Honigman. What: InsiderChat features a variety of industry leading guests and covers all things business, branding and marketing. 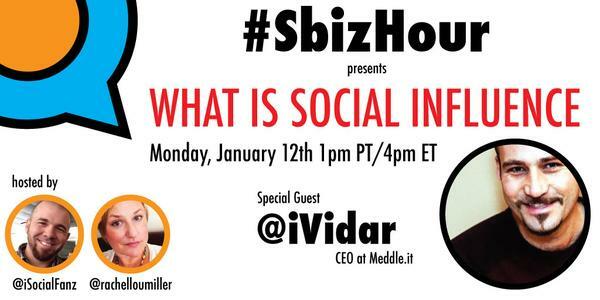 Who: Hosted by Brian Fanzo and Rachel Miller, #SSHour stands for social selling (or social business) hour. What: This chat is where folks go to discuss leveraging social media to drive conversions. Who: Hosted by Atomic Reach, this chat is for anyone interested in content and community. What: A new branded chat focused on content marketing and community building. 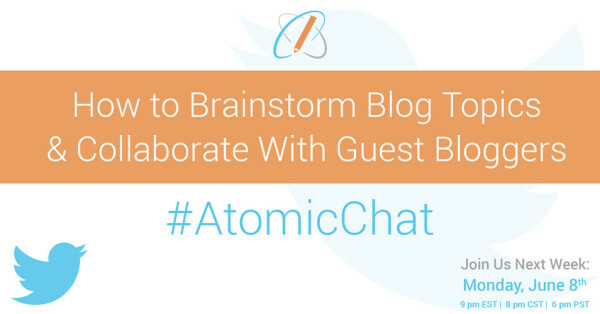 See a recap of the first chat on how to brainstorm blog topics here. Who: Hosted by Maria Elena Duron and David Sandusky. What: A discussion between experts, strategists and those interested in learning more about personal branding and managing brands. Here’s a recap of the last one! Who: Features the Paper.li community and hosted by Kelly Hungerford and Magda Torres. What: A weekly chat with industry experts covering topics to help small business owners. Who: Hosted by Olga Andrienko and the SEMrush team. What: A branded chat with special guests covering all things SEO and conversions. There’s a ton of Twitter chats out there for nearly any topic you can imagine. These are just the top ones we think any business, marketing or startup person will find valuable. You can find a complete list and schedule of all Twitter chats here. Use the handy Google calendar Jacob Warwick created to add these top 10 chats to your calendar!